Hey guys! Hope you all are doing well. I’m back with another one of my NarutoVerse lists. Today’s list is about the characters that have been trained by the legendary Sannin of Konohagakure. They include Orochimaru, Jiraiya and Tsunade Senju. These three legendary Shinobi from Konohagakure got this title after battling with Hanzo. Hanzo acknowledged their skills and gave them the name legendary Sannin of Konohagakure. They all were supremely powerful and also their students turned out to be exceptional as well. Minato Namikaze is the fourth Hokage of Konohagakure. He is known as the Yellow Flash of the leaf. He was an exceptional shinobi and could use the teleportation technique and even an imperfect Sage Mode of Mount Myōboku. He was trained by one of the legendary Sannin, Jiraiya. We got to see how talented he was when he was reanimated during the fourth great war. Minato Namikaze has even defeated 10,000 Iwagakure Shinobi on his own. After this heroic battle he was named the fourth Hokage of Konohagakure by Hiruzen Sarutobi. Jiraiya was in charge of Minato’s genin team. As we know this from the pictures. 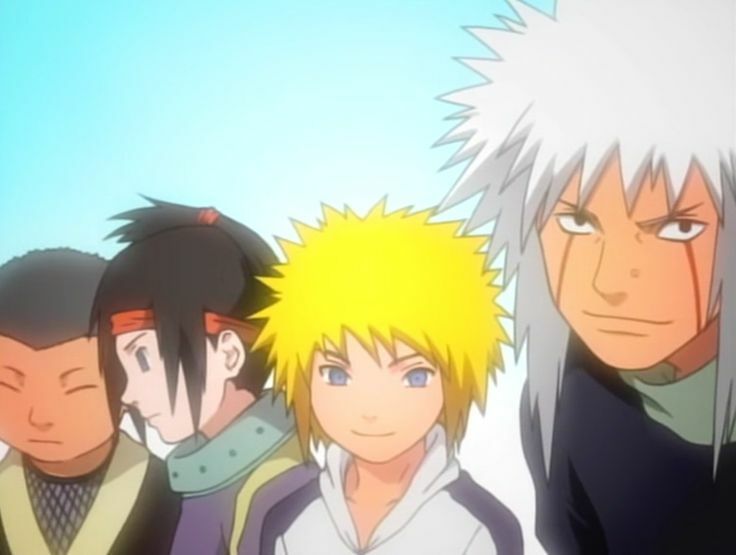 Jiraiya along with Minato Namikaze would have trained his other teammates as well. There are theories that suggest that Kashin Koji, the member of Kara might be one of these teammates.